Chris Paul continues to make headlines in the NBA and so as his fifth signature shoe with Jordan Brand, the Jordan CP3.V, which will be coming out in a new colorway this April. 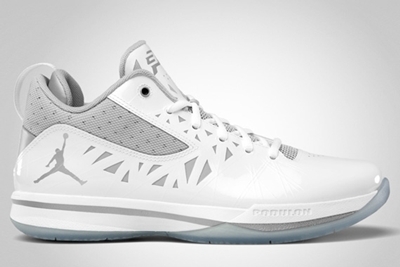 The Jordan CP3.V will be hitting shelves in White/Metallic Silver colorway, which is arguably the cleanest and sleekest colorway of the shoe. The head-turning look is indeed an asset, but this shoe will also give you all the qualities that you are looking for from basketball sneaker. This will be released anytime next month so make sure to check it out!